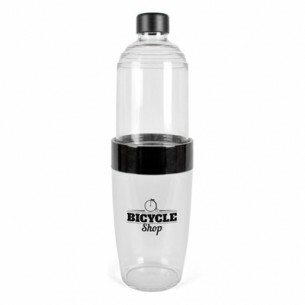 Unique and versatile, the Lamengo Sports Bottle is designed to look great with any printed corporate logo. Aside from looking fabulous, it also has a new interesting design. Its 3 part construction allows you to transform the bottle into a screw-on sports bottle or decompose it until it is a mere drinking glass. Both made of high-quality materials so you can be sure they're built to last, this bottle is guaranteed to come in handy. Built to withstand daily use while preventing potential accidents, this bottle/combo is definitely one to add to your collection.